The South East Regional Model (SERM) is one of five models that comprise the Authority’s Regional Modelling System. 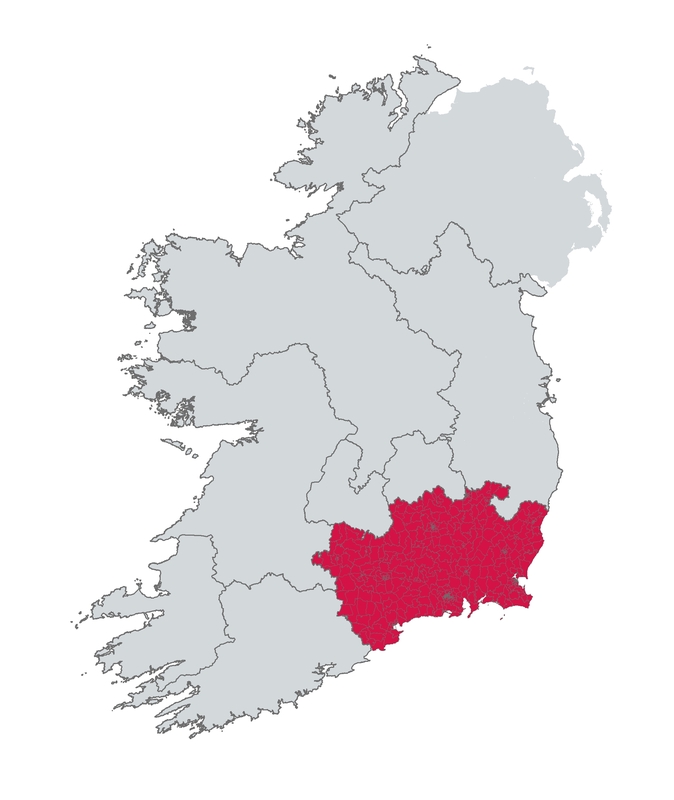 The SERM covers the whole of Ireland with the counties of Carlow, Kilkenny, Waterford, Wexford and South Tipperary modelled in detail. The model is centred around Waterford City and includes 563 internal zones with travel between these zones and the rest of Ireland represented by 8 external zones. The zone structure of the SERM is shown in the images below, click on each image to see it in more detail.